Are You Ready for This Year's Halloween Scavenger Hunt? Like most scavenger hunts of this nature, you’ll come with child in tow and attempt to solve the clues and claim the prizes. There’s an extra element of competition involved in Pleasanton’s take on the scavenger hunt, however, as treats are limited to the first 600 children who decipher the various riddles. With that in mind, you might be wondering how to get a leg up on your problem-solving skills so you can beat out those other families, and, even if you aren’t you’re definitely wondering about making the scavenger hunt the best time it can be for the family. In either case, we’ve got you covered. Today, we’re going to be taking a look at ways you can optimize your scavenger hunt enjoyment, be it by solving those clues or simply showing up prepared and taking in the Halloween atmosphere. If you’re in it to win it, you’ll need to bone up on your knowledge and develop some solid teamwork. As this is a team activity you’ll be taking part in with your kid, it’s not a bad idea overall — you’ll be able to bond as you study up on the answers to potential clues, and continue forging that team spirit as you trek downtown Pleasanton trying to get to all of the great treats and prizes. You can start by quizzing yourself on the different locations and landmarks around town. If you aren’t already familiar with the things that are popular in Pleasanton, sites like Culture Trip and Tripadvisor can fill you in on the major attractions that everyone should know about. When it comes to local businesses, the Pleasanton Downtown Association can fill you in on who’s who, and if you’d really like to get in touch with the city, why not take a stroll with your kid around the area before the big day? It’ll be great seeing all of those businesses and landmarks in person, will help give you an idea of how to navigate around town, and, best of all, will help you and your child develop a greater appreciation for how wonderful Pleasanton can be on a lazy day with no particular plans other than roaming the streets. As for getting a jump on those clues, there’s no way you can know for certain what clues the event organizers will be putting on the list, but there’s still a way you can gain a leg up — by putting yourself in the headspace of a clue writer. Check out this guide from Scavenger Hunt Clues that shows a bit of behind the scenes on how to generate quality clues for different kinds of hunts. Knowing the criteria behind what makes a clue worthwhile can provide some insight into what sort of places will be most likely included, and where you’ll want to turn your attention to first when looking for those treats and prizes. To make sure the scavenger hunt is a great time for all, make sure to come prepared for a fun day. 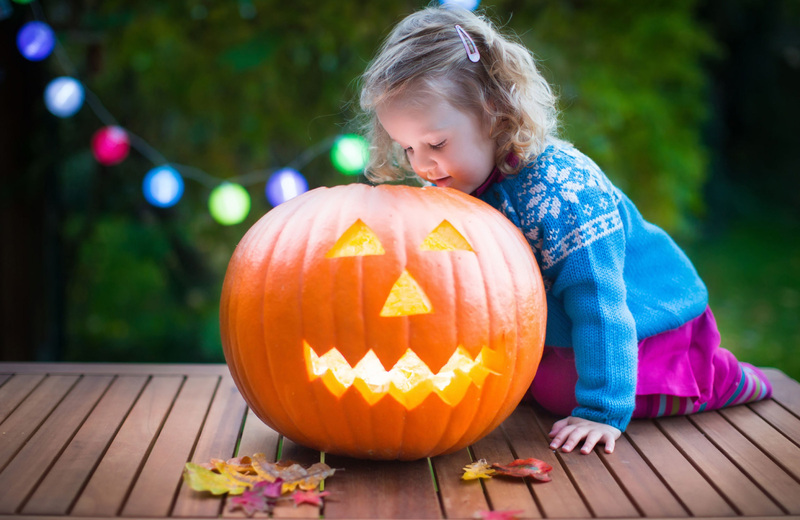 It goes without saying that you and your kid will want to be dressed appropriately for whatever weather you’re facing, but also bear in mind that you can make things extra special for your child by going the extra mile with their costume. Now, you might not be a costume designer yourself, but after you query your kid for some ideas, you can turn to any number of sources on the internet to learn how to DIY a superlative Halloween outfit like you’re a veritable pro. DIY Network, for their part, has a long list of Easy Homemade Halloween Costumes for Kids. All things homey and cutesy blog, Brit + Co. comes through with 39 Last-Minute Halloween Costume Ideas for Kids, and even Martha Stewart has a take on Homemade Kids Halloween Costumes. The trick here is to make it a team activity. Together, you and your child can brainstorm ideas, gather materials, and construct that special costume until it rivals the quality of a Broadway production piece. Even if you can’t quite reach that level of handiwork, though, you’ll have a great time in the process, and it’ll help bring you closer together. Once it’s time for the big scavenger hunt day, you can keep the energy levels high. Remember to stay as enthusiastic about finding the answers to those clues as your child is (no negativity allowed), and even if you miss out on a few, remember it’s not the end of the world. Just take pleasure in the fact that you all participated, and end the day feeling better for having had the experience. If you’ve been wondering how optimize your East Bay apartment experience, all you have to do is check out places like Vintage, where exceptional experiences are part of the everyday. Every element here — the setting, the living spaces, the amenities — is perfectly suited to a better way of life. We invite you to see it for yourself, and contact us to learn more about what being a resident at Vintage is all about.